How to move the killstreak counter a little to the left? I uses rayshud with minimal settings turned on, any exact number to change? how do I divide up clientscheme.res with #base? Whenever I try the colours get screwed up. Does anyone know how to edit the time left in the round e.g. time left until red wins in payload or attack/defense? local server payload map, nav_generate, spawn some bots with "tf_bot_add 12" and mp_tournament 1 with mp_tournament_stopwatch 1 and edit the hudstopwatch.res file? 1. How do I put a colon between my kills and deaths? How can I lift the bots info a bit so it doesn't clip with the players' status? Is there a way I can make that "win conditions" not show up on MvM? 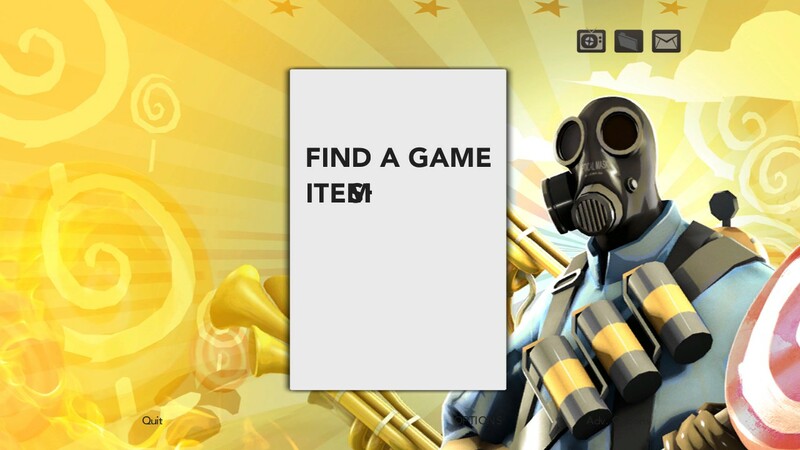 Such as using "if_mvm"? Wiethoofdlocal server payload map, nav_generate, spawn some bots with "tf_bot_add 12" and mp_tournament 1 with mp_tournament_stopwatch 1 and edit the hudstopwatch.res file? no not that timer. I mean for pubs and casual. Using HudasIscariote's version 1.7.3. However at the end of playing casual, im unable to see the entire leaderboard. Any known fix? does anybody know a working version of broselhud? assuming you're asking for the old broselhud and not broselhud blue, look in this thread. assuming you're asking for the old broselhud and not broselhud blue, look in [url=http://rebelconquer.net/33738/ive-updated-some-huds]this thread[/url]. This is for casual matchmaking and is located in lobbypanel_casual. The text displays to the right of the text that says how many maps you have selected. the item / shop buttons get shopped off after reaching a certain point, does anyone know how to fix this? if that does not work check if they are in a container/panel. The stock hud dropdown play menu are in a gazillion containers. Check for proportionaltoparent which if set to 1 makes the child hud item think that the width and height of the screen is the width and height of the parent. Try to increase the heigh/width of the parent and see if that makes it better. Lastly check in your hudanimations folder. If you have not already add the MMenu_playlist_container animations to your file. It screws around with the height. 3. i screwed with #base for my clientscheme and a font switcher but now it has locked my font to roboto which was one of them. This happened before and I fixed it with a restart/fixing clientscheme.res. Anyone else have that problem? What file would allow me to edit this text? I apologise if this question has been repeated, but I'd rather not search though ~120 pages right now haha. scripts/yourhudanimationsfile.txt - look for MMenu_Lobby_Containerframe or something along those lines. Animates what happens when you click on the find a game button. I've checked those files recently (today, even), but I've haven't been able to just change the text so say, "items" becomes "stash" or something similar. This could be a toonhud specific thing, I'll try some other HUDs and see what's different. EDIT: Almost forgot to say thanks for your quick reply! Is there a way to get custom overheals to work on sv_pure 2? Changing the text on the labels that are positioned in MainMenuOverride.res is done by changing 'Labeltext' in GameMenu.res, you will 'kill' localization and effectively hardcode the text that shows up. Changing the text on the labels that are positioned in MainMenuOverride.res is done by changing 'Labeltext' in [i]GameMenu.res[/i], you will 'kill' localization and effectively hardcode the text that shows up. Is there any rule regarding mac and font placement? It seems with some fonts are more centered and some are not and font types do not seem to make a difference. if you want it to work with classes that can see both teams you need to use the stock team coloured box. The opacity is controlled with tf_hud_target_id_alpha which is actually a console command and you cannot change the width or the heigh without refracts which have their own problems. Try to oversize it so you only see a bar at the top or bottom if you want a team indicator or cover it up. Unless if you want to use a refract. Blah. Bleh. Blooooo. Wiethoofd Scapegoat4resource/gamemenu.res - some buttons have images/parameters here. You should be able to make sense of it I've checked those files recently (today, even), but I've haven't been able to just change the text so say, "items" becomes "stash" or something similar. Changing the text on the labels that are positioned in MainMenuOverride.res is done by changing 'Labeltext' in GameMenu.res, you will 'kill' localization and effectively hardcode the text that shows up. I was able to do this http://puu.sh/qSC1r/8808dc5761.jpg. How would I do refeacts to change the height and width. how would you fix enlarged inventory icons when picking a weapon in the loadout screen?